A rainbow meringue kiss tier! 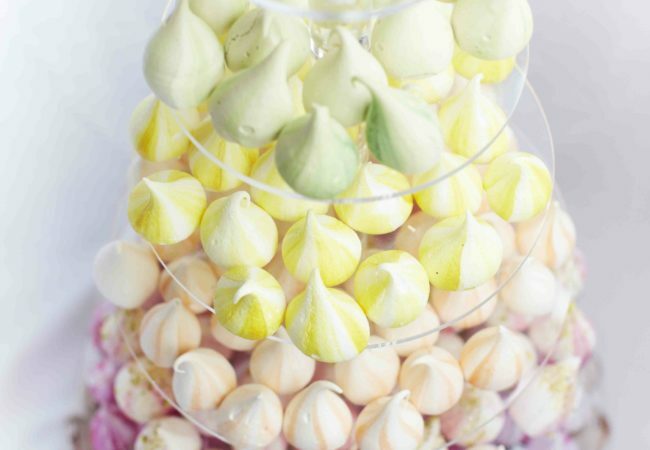 Make a colourful statement at your wedding or event with our 7 layered clear perspex tier filled with 300 rainbow meringue kisses. Our kisses are crispy on the outside, mallowy in the middle and made with all natural colours and flavours. If you would like specific flavours or colours, please list these in optional message / enquiry box. 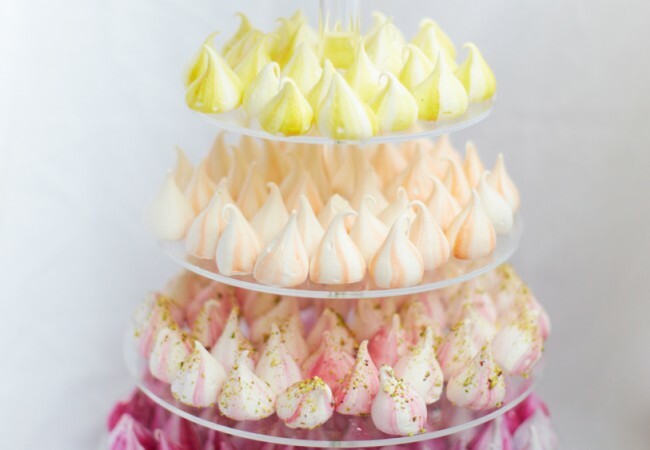 The tier will arrive flat packed along with your meringues in cake boxes for you to assemble on the day. Super easy, and the tier is yours to keep! Rainbow unicorn poo – caramel essence, pink – freeze-dried raspberry, Orange – passionfruit essence, Yellow – lemon essence and citric acid, Green – rose essence and chopped pistachios, Blue – juniper essence, Purple – cherry essence and citric acid.